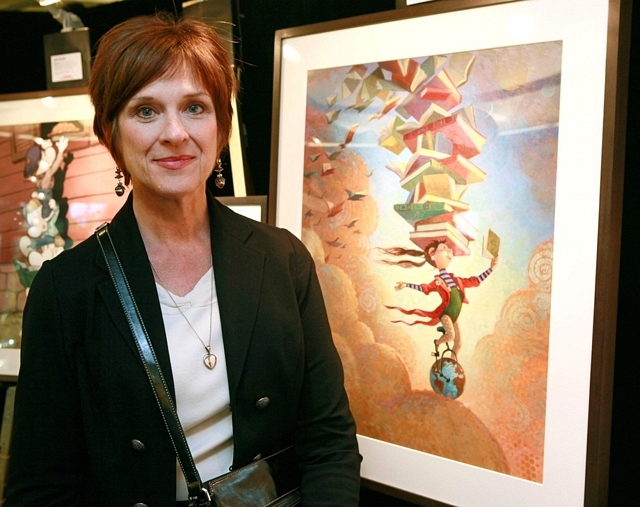 Scholastic is auctioning off original works by twelve awesome children's book illustrators to benefit Reading is Fundamental and Reach Out and Read! This is your chance to own original art by Mary GrandPré (illustrator of the Harry Potter series in the US), Norman Bridwell, David Shannon, Jeff Smith (author of the Bone series), and more! Visit Scholastic's Read Every Day site for more info or to bid. Follow The Hunger Games on Facebook to get the latest updates on casting! Do you have a teen non-fiction section? Check out what Katie of Book Blather did with hers to update it and increase the teen appeal! Fabulous! Travis of 100 Scope Notes has a nice little preview of some great books coming out this summer! (Ahh, summer, when the school media folk and teachers have lots of time for reading and for pointing and laughing at us poor public librarians for whom it's crunch time. :) These are some books to make time for!) What books are you looking forward to this summer?